RALEIGH (WTVD) -- According to the American Lung Association, North Carolina could save more people from tobacco-related deaths if they would have implemented stricter tobacco policies. The organization's 2018 "State of Tobacco Control" states that North Carolina is significantly behind the nation in reducing tobacco use and that state lawmakers could do more to prevent the death and disease associated with tobacco. "Nationwide, smoking rates have continued to decline to historically low levels, yet tobacco use remains the nation's leading cause of preventable death and disease killing over 480,000 Americans each year," said American Lung Association Southeast Region Executive Vice President Martha Bogdan in a news release. 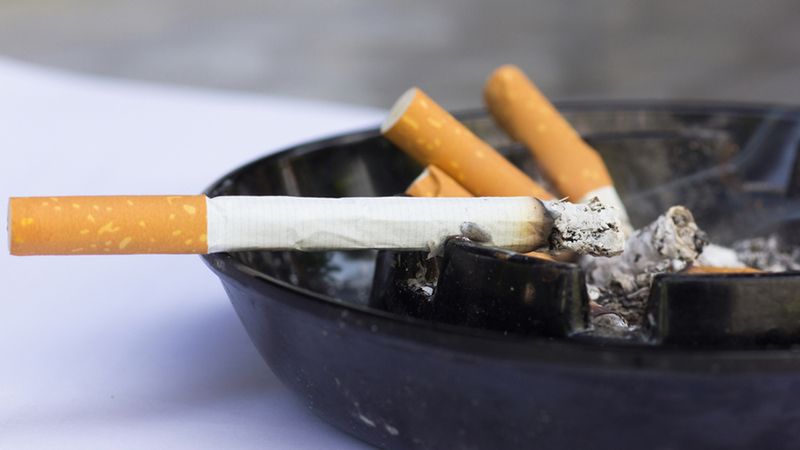 "Tobacco use is a serious addiction, and the fact that 17.9 percent of North Carolina residents are current smokers highlights how much work remains to be done in our communities to prevent and reduce tobacco use." In the 16th annual report, they found that Governor Roy Cooper and the North Carolina General Assembly are failing to enact what the association said are proven policies to reduce tobacco use and curb secondhand smoke. The association is requesting that state officials restore funding for tobacco use prevention and cessation programs, including QuitlineNC, increase the state cigarette tax by at least $1 per pack, and resist attempts to weaken the smoke-free restaurants and bars law and expand the law to include all public places and private worksites. For those looking to quit, more information can be found on the lung association's website.